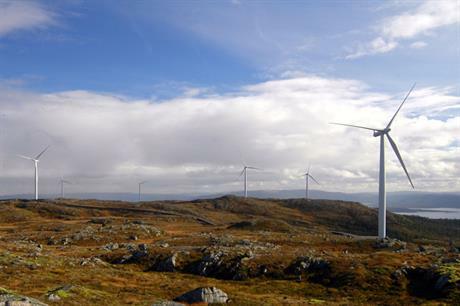 NORWAY: Statkraft has bought out its joint venture (JV) partner in the wind power development company Statkraft Agder Energi Vind (SAE Vind). The Norwegian utility previously owned a 62% majority stake in SAE Vind, while renewables developer Agder Energi owned the remaining 38%. Both parties have agreed not to disclose the value of the transaction. SAE owned two licensed projects, the 60MW Kvinesheia and 150MW Remmafjellet wind farms in southern and central Norway respectively, but had "no concrete plans" to build them, it stated. Statkraft added the two projects "represent a significant value, if the circumstances make it possible for them to be realised". However, in recent years "the conditions have been such that it has been better for the owners to wait for market development than to build or sell the projects", Statkraft stated. Agder Energi and Statkraft formed the SAE Vind JV in 2008. SAE Vind had developed four wind farms that are now to be built by Fosen Vind, the special purpose vehicle (SPV) behind the 1GW Fosen complex – the largest wind cluster in Europe. In 2016, it took over licenses and all project rights for the 288MW Storheia, 100.8MW Kvenndalsfjellet, 154.8MW Geitfjellet and 93.6MW Hitra 2 wind farms. All four projects are due to be operational by the end of 2020. Statkraft is also investigating the cause of a power outage at its 55.2MW Hitra I project in central Norway. The 24-turbine site in Trøndelag could be out of operation for six weeks, Statkraft fears, and its transformer needs repairs. Hitra features 24 of Bonus’ B82/2300 turbines and was commissioned in 2004. The developer currently believes that a lightning strike is "the most likely cause" for the power outage, a spokesman told Windpower Monthly.